Below is the technology industry news & trends report for October 2016. You can also check out our latest news & trends report to be in the loop of what’s shaping the tech industry landscape today. October was an interesting month in our sector. Gartner predicted modest growth in IT spending for 2017 and announced 10 significant trends that would impact technology in the coming year. Samsung joins Apple and Google in AI competition. We will discuss all this and much more in our monthly news and trends report. Node.js 7 was released on October 25, at the same time notice was given that version 6 will be moved to the long-term support. Mikeal Rogers, a Foundation community manager, claimed that they focused on the language transformation to boost its compatibility, increase VM neutrality and API development. The team plans to reach these goals, adopting modern Web standards. The new version will be available by June 2017. Dynamics. The service should be self-motivated. That means user needs should be satisfied as soon as they arise. Intuitiveness. This type of design is aimed at basing the user experience on predictions and progress. So, the more times it serves the user, the better it can identify user needs, providing better results as time goes on. Personalization. The design should be adaptive to all users and targeted to meet the needs of each. Microsoft announced that the new open source Azure Internet of Things (IoT) Gateway SDK would support Azure functions. It also allows connecting legacy devices and sensors. These things make the deployment of IoT technologies easier and cheaper because it does not require replacement of existing infrastructure. Currently, the version beta of new SDK is available on GitHub. IoT Supply Chain Management. This type of solution allows logistics companies to develop greater insight about their assets by tracking them in completely new way. The implementation could provide more than $1,900 billion worth of impact on the industry. Seventy percent of retail and manufacturing companies have already begun the implementation of supply chain management solutions in their logistics departments. IoT Inventory & Warehouse Management. This narrow area deals with usage and tracking data by way of different types of tags. It enables understanding of the details of transportation, assess the customer’s traffic and sends different messages related to the assets. IoT Fleet Management. Connected vehicles boost the efficiency of transport usage by providing information about location and operations. 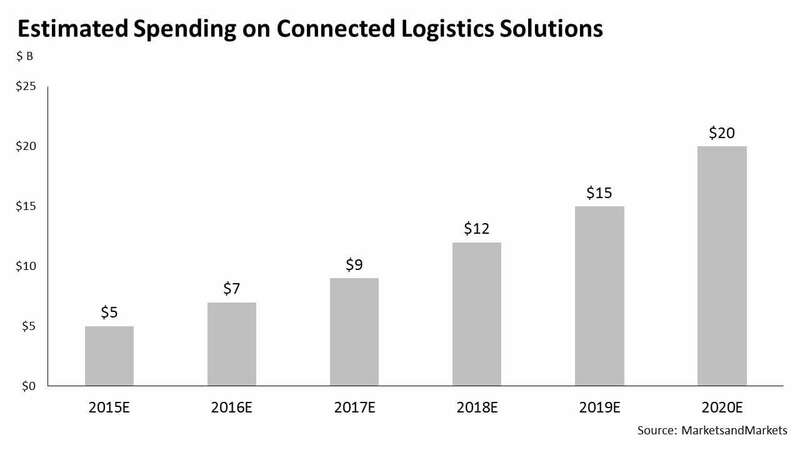 According to Business Insider, North America IoT fleet management solutions will reach 180 million commercial vehicles or 90 percent of total market by 2020. The big data and analytics market will soar from $130.1 billion in 2016 to $203 billion by 2020. The strongest demand for big data solutions arises from the financial services industry. IDC bankers spent approximately $17 billion for big data and analytics products. Management, fraud prevention, and compliance are the key points of interest for financial institutions. The experts trust that financial services will remain the fastest growing business vertical in the big data market. Telecommunications, utilities, insurance, and transportation will significantly accelerate their growth during the projected period. Smaller enterprise will follow larger businesses and start spending on big data solutions. According to McKinsey & Co, big data in the automotive market could reach $450-750 billion by 2030. Currently, only small number of vehicles gather data; most of them are completely anonymous. But a majority of the industry players are interested in utilization of the data. While automotive industry players have different types of expertise in vehicle data usage, it is still important for the whole industry. Both technology companies and carmakers are looking forward to capitalizing on car data. The challenge going forward is a lack of data for big data solutions. It has always been autonomously gathered by car and was not disclosed. In addition, the process of data gathering is complicated by car manufacturers themselves because each of them has different politics on data sharing. The researchers claim that currently no one, even high-tech players, has a partner to utilize vehicle data solutions. Big Data opens great opportunities for the insurance sector. Clients of insurance companies could get many benefits such as cutting insurance costs by joining personalized programs. The idea is not complex. For example, insurance companies could base rate calculations on personal data from social networks, health, purchases and so on. As a result, companies could build a wide range of specialized award and penalty programs especially for life insurance, where customers could get a penalty for unhealthy activities and rewards (discounts) for safe behavior and healthy habits. 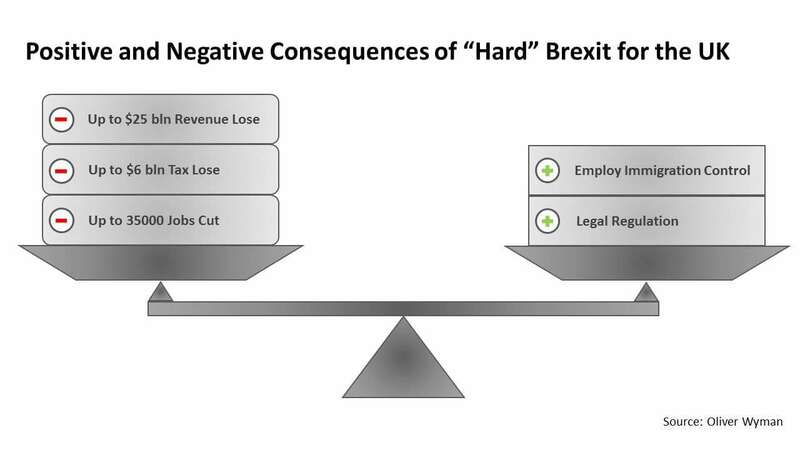 Nevertheless, one of the greatest challenges for big data implementation in insurance are legal barriers. Germany has a strong stance on data vigilance and privacy rights. Big data implementation in insurance will disrupt the traditional unified process. China mobilizing. China plays a starring role in the mobile payments storyline. China remains the largest of the investigated markets. Its share accounts for 58 percent of the total volume. Mobile payments accelerate their growth due to the trend for UX improvement in mobile apps. Mobile-first markets. The mobilization leaders the US and the UK will significantly boost the share of mobile payments from 12 percent and 20 percent in 2015 to 38 percent and 46 percent by 2020, respectively. The foundation for such a shift can be explained by the fact that people are more familiar with online purchases and payments and the wider range of products and services, which can be paid via a mobile device. Service-oriented purchases. The growth will be also driven by service-oriented purchases, such as tickets, media downloads and foodservice delivery and takeaway. They are bought via mobile more frequently. Younger generations. Younger customers will push the growth because they usually prefer to adopt new technologies in their day-to-day life. Millennials and Generation Z members will generate about 47 percent of the gross income in the mobile payments business. Proximity payments. The implementation will be spreading across industries and countries. Currently, the largest proximity payments market is in the US. The retail industry covers the biggest part of proxy payments, due to its size. Gartner and IDC have presented different views on the mobile market this month. IDC says that the global mobile market will demonstrate a positive trend in 2017. The mobile market is estimated to reach $1.7 trillion by 2020 from $1.5 trillion this year. 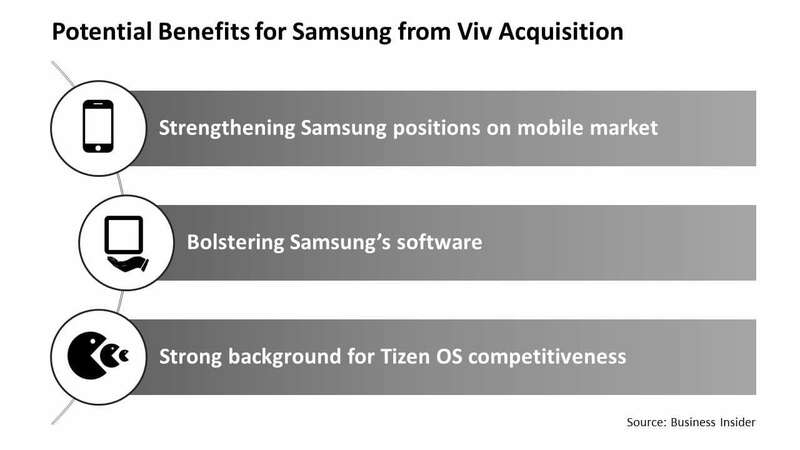 Mobile software will be the fastest growing segment in the market. 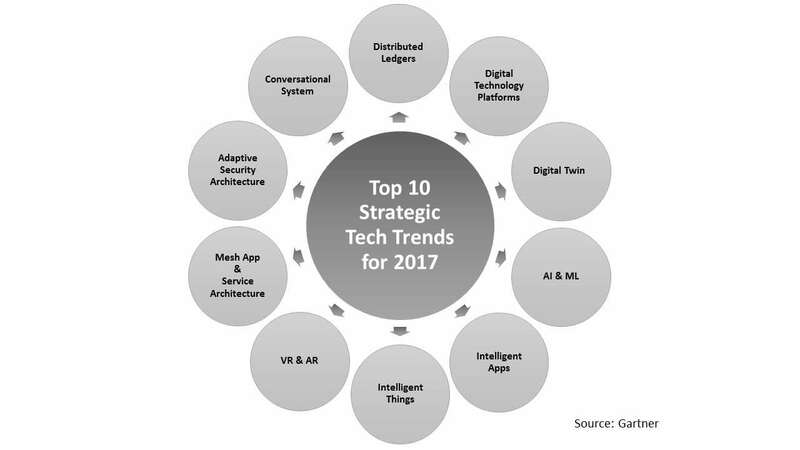 The double-digit growth of the segment will be driven by demand for application development platforms, specific business apps, and security. Manufacturing, professional services, retail, and healthcare are expected to be the core consumers of mobility. At the same time, Gartner painted the picture of the mobile market from the device point of view. Research discloses that shipments of mobile devices will decline by 1.6 percent or at best stay stagnant in 2017, but the smartphone sub-segment will growth by 4.5 percent year-over-year. The experts have less optimism about the hardware than software. Amazon launched a new migration tool for the AWS cloud. It allows quick relocation of the customers’ data from on-premises to a cloud with minimal disruption and downtime. The company tries to fuel its cloud with migration of current enterprise clients. Early on, the cloud vendor had adopted Amazon Aurora for competition with MySQL. This migration tool provides an additional opportunity: If the site fails, it allows it to launch replicated servers in EC2. Google announced support of the Microsoft SQL Server 2016. The tech giant aims to offer the best environment to run enterprise Windows workloads. The customers would be able to leverage several Windows Server 2016 benefits. Google also provides a free trial period, detailed documentation and support during migration. 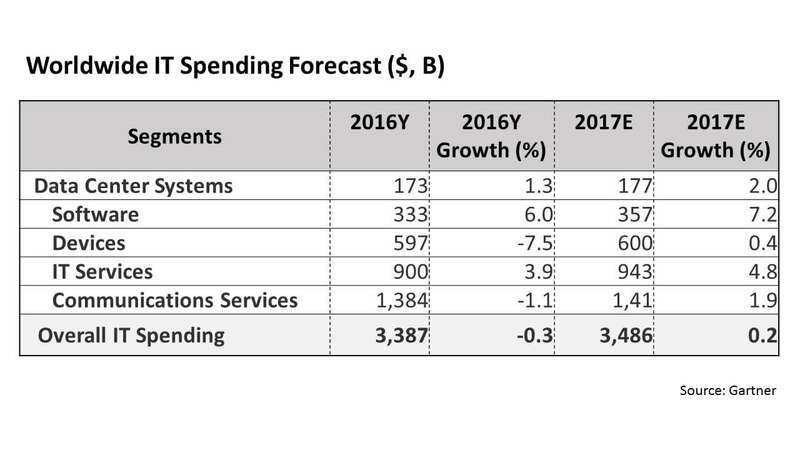 Global IT spending is expected to reach $3,486 billion in 2017. This year industry demonstrates modest decline (0.3 percent down) contrasted to modest growth (0.2 percent up) as was expected earlier due to Brexit. UK spending is expected to be flat. At the same time, researchers predict that some EU countries would gain investments to offer a more viable option inside the EU. The consultancy also claimed that the results of the presidential election in the US wouldn’t impact the country’s IT spending. The segments will have an omnidirectional dynamic. The highest growing segments would still be software and IT services, segments which will even accelerate their growth. The number of innovative financial technologies have been developing and implementing without any restrictions. Their popularity continues to raise, for example, the volume of U.S. loans issued by Fintech increased from $20 billion to $120 billion over the last year. So early in 2017, the Office of the Comptroller of the Currency announced establishing new arm, that would deal with innovative technologies in financial services. This way the US governance is going to regulate Fintech companies. The regulator might set up special charters for Fintech companies. The new unit of OCC will not only regulate the Fintech operations it will also responsible for the testing environment for innovative technologies. Each Fintech would have to test its products in this sandbox under the supervision of regulator. 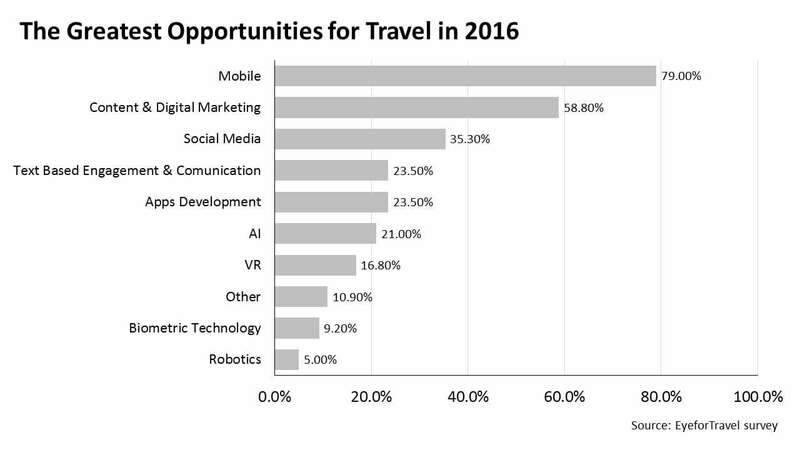 The EyeforTravel survey, which covered 183 executives across European travel companies, revealed that 79 percent of respondents selected mobile technologies as the greatest opportunity for the travel industry this year. Forty percent of the executives are going to increase spending for mobility by 50 percent or more over the next three years. Nevertheless, experts say that while the mobile-travel-apps market has already reached maturity, they expect that the major players will continue to actively invest in the mobile web due to the significant shift of customers to mobile. Both traditional and eCommerce retailers experience a demand for virtual reality. The former need it as a part of the digital experience; the latter, as a fitting complement to existing ones. But each of them requires it to boost customer engagement. Forward-thinking entrepreneurs have already realized the benefits of employing virtual reality for the retail industry. The confirmation of interest in technology from the business side is active investment performance. The venture capital funding reached $2 billion during the period July 2015 to June 2016. M&A activity was also high for virtual reality and augmented reality is on the rise as well, rocketing to $849 million during the same 12-month period. Citigroup’s recent research on virtual and augmented reality discloses the market will account for $674 million by 2025. 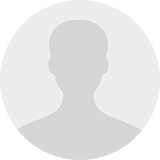 Data Assurance–Identification and classification of all data sources and gaps. 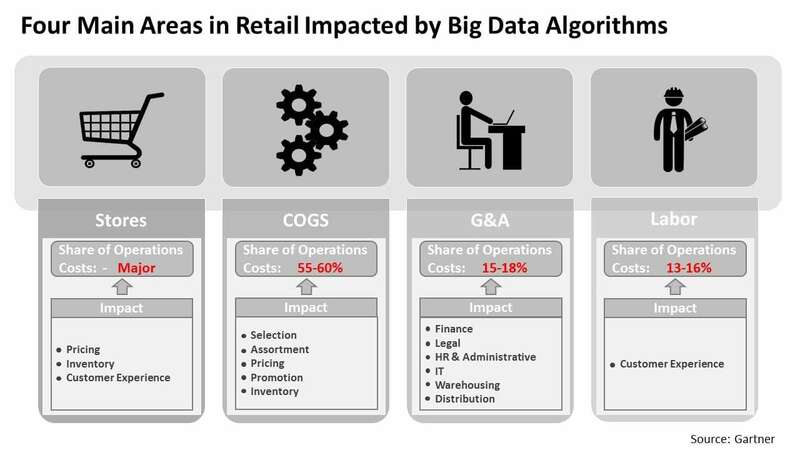 Research the successful data solutions in retail. Identify current and future opportunities for automation. Ensure smart data usability in the decision-making process. European airlines are affected by negative market conjuncture. The increase in the price of fuel, the decrease in traffic, and the rise of low-cost carriers have led to declining profit margins. As a result, traditional players have tried to drive customers to book direct. The experts do not expect that market will improve until 2018. One of the best ways to cope with difficulties for traditional businesses is to restructure cost, but It is difficult to solve the problems this way. McKinsey suggests that it is better to focus on saving and gaining the customer base using loyalty programs and sales. Boston Consulting Group suggests employing deeper insights provided by technology. The consultancy firm says that airlines should offer a customized experience for clients using available data lest some technology giants do so instead. US President Barack Obama announced that Precision Medicine Initiative will use the advantages of Big Data. While his program may not be maintained by President-elect Trump, there will probably continue to be a relationship between healthcare and technology. Patients will get access to the historical data in their EHR. The data will be processed and compared with data about other patients US-wide. Finally, the healthcare industry will build a personalized treatment system. Data gathering and data processing technologies increase the efficiency of the healthcare industry and accelerate research processes. See our recent article “7 Ways Data Science Is Reshaping Healthcare” for more information. 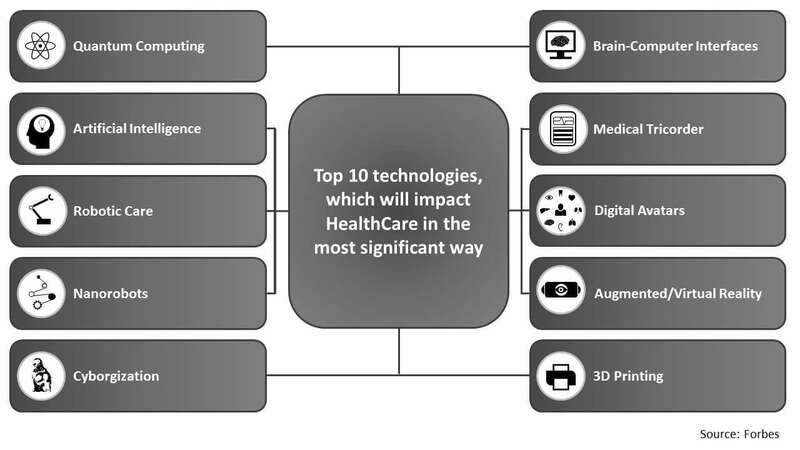 Forbes presented 10 technologies that will significantly impact the healthcare industry. The experts advise businesses pay additional attention to following trends as they will drive the transformation. Fully Integrated Sales and Social. Customers lose interest during their journey to purchase. Shoppers must take several steps to move from social media to the eCommerce platform and purchase, while they should be able to finish transactions in social media with a single click. Improved Beacon Technology. It allows pushing notifications to nearby devices and tracking data about shoppers, significantly boosting customers experience in the future. End-to-End Attribution. Such solutions will improve the tracking and clustering of leads. It will allow better budget allocation and encourage higher ROI. Unified Search Algorithm. Numerous updates and changes strongly affect SEO and digital marketing. Unified search algorithms should significantly boost efficiency. Identity-based Ads. The technology that focuses advertising on groups with identified purchase potential should be the core target for marketing innovators and specialists.